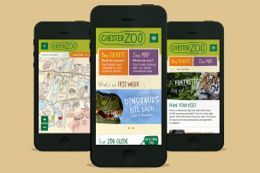 "By applying best practice mobile technologies, using in-depth research to deliver exactly what users want and need from a mobile site, and designed to make the most of Chester Zoo’s impactful branding on the small screen, Chester Zoo’s mobile solutions have exceeded customer’s expectations to deliver the very best user experience pre, during and post a day at the zoo. Mobile is now an integral part of the customer’s planning and purchasing process. And when at the zoo, a new app with mobile optimized integrated map, makes navigating around the attraction fun, delivering an experience that both inspires and entertains." "Rhythm developed PlayNow, a new multi-user HTML5 based interactive platform for events. PlayNow was created to allow people at an event to interact with an application running on a big screen using their smartphone’s browser (no app required). PlayNow’s debut event was BLAB15 at Band on the Wall. Rhythm created a multiplayer version of an arcade classic, SWARM PONG. Over 100 users connected instantly to the game using their phones, interacting using an HTML5 interface in their phone’s browser to control their paddle on the big screen. 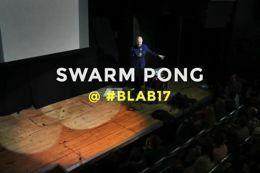 SWARM PONG’s debut generated considerable interest and numerous new business leads." Submissions should demonstrate how the use of mobile devices, such as smart phones or tablets, has enabled the execution of a project, product or service, or has been used to increase its effectiveness in delivering business or other tangible objectives. The BBC iPlayer Radio mobile app successfully builds on the incredibly popular iPlayer legacy. The judges really liked both the combination of playful interface elements and the understanding of how to incorporate disparate content visually. And what really impressed them was the way the two were combined to deliver an experience that is both recognisable and unique. Apadmi was responsible for the development, test and delivery of the new BBC Radio iPlayer app that launched on October 8th 2012. The app reached Number 1 in the Apple App Store with a 4.5* app rating, attracting 1m downloads in just first two months. 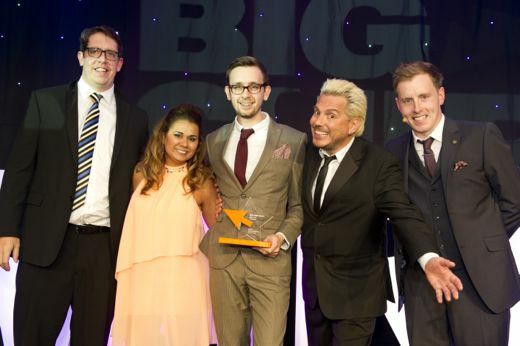 The app has generated record-breaking audiences for BBC Radio since its launch with around six million UK unique weekly browsers, an increase of 30 per cent compared to October 2011 and with nearly a third of traffic from mobiles and tablets. GDM's VACS® Mobile SnapShot provides the opportunity to capture critical images, video and audio for use in the healthcare industry. From the initial point-of-care, all the way through to patient discharge, Mobile Snapshot provides first responders, clinicians and nurses the ability to capture and share pictures and video within a secure VACS® environment quickly and easily from anywhere within the system, anytime. VACS® Mobile SnapShot provides mobile access to the greater VACS® system that is currently in existence in many hospitals throughout the USA. Submissions should demonstrate how the use of mobile devices has enabled the execution of a project, product or service, or has been used to increase its effectiveness in delivering business or other tangible objectives. The winner in this category was a real powerhouse. The judges loved the way it married the mobile platform to user need, they were impressed with the functionality and the user experience, and they were blown away by the results. The Auto Trader iPhone app was designed to offer greater functionality and gain wider distribution through a heavily used mobile platform: iOS. The app had an extensive interaction and user experience design phase, to ensure a positive user experience through fast searches, easy saving of vehicles, GPS and enhanced functionality to find cars from both private and dealers. The app offered an enhanced data storage facility (my Garage) and a Dealer look up service. The app had to be developed to deal with enormous concurrent demands of Auto Trader's user data requests (90+ servers run to support the data demand). Cupple ia the private sharing app for 2 people in a relationship. Cupple reduces the uncertainty around sharing to broader social networks and eliminates lost contact between two people by creating a private platform to share. Cupple increases our understanding about how people in a relationship communicate using mobile. The judges were very impressed by this project which enabled customers to access new and exciting offers while enjoying games on their mobile phone. It ended up being played over 2 million times. A truly remarkable effort and great use of the mobile platform. In 2010, United Airlines decided to release its range of flight upgrade options to all passengers rather than Premium flyers only. The challenge was that people didn't understand the flight upgrades until they'd tried them - and so the “Optathlon” campaign was born. Passengers were directed to a suite of 5 online/mobile games where they could win the upgrades instantly. Each game represented a different upgrade. As the campaign closed, the games had been played over 2 million times and 85,000 passengers won free upgrades, earning millions of dollars' worth of additional revenue for United Airlines. Best Mobile Project was a new award in 2011.